The Food Safety Authority of Ireland (FSAI) has issued a warning over a recall of a batch of contaminated turkey breasts. 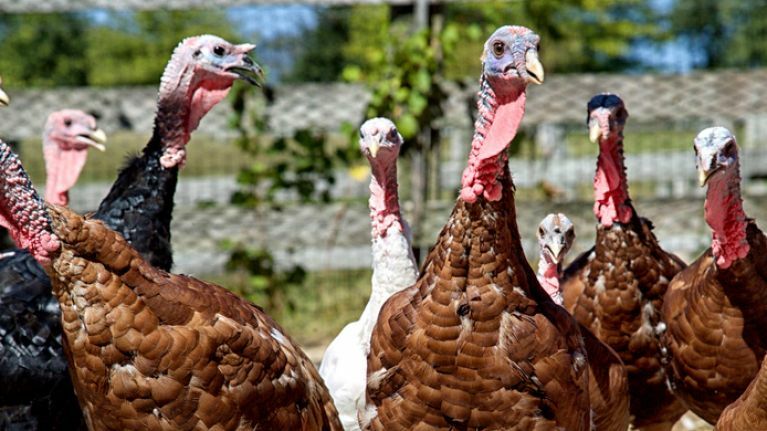 According to the FSAI, Divilly’s Ltd is recalling the above batch of its Less is Best Premium Turkey Breast due to the presence of Listeria monocytogenes. 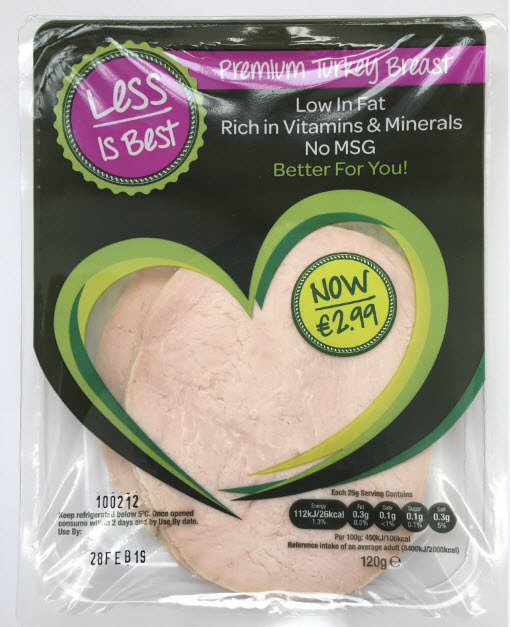 The product in question is called "Less Is Best Premium Turkey Breast (120g). Contaminated products can be identified by the batch code and use-by date: 100212; ‘use-by’ date 28.02.2019..
Consumers are advised not to eat the implicated batch. Consumers who may be feeling unwell or have concerns should seek medical advice.Symptoms of Listeria monocytogenes infection can include vomiting, nausea, persistent fever, muscle aches, severe headache and neck stiffness. In rare cases, the infection can be more severe, causing serious complications, such as meningitis. Some people are more vulnerable to Listeria monocytogenes infections, including pregnant women, babies, and people with weakened immune systems, including the elderly. The FSAI has also included a photo of the product in order to help consumers identify whether or not it's in their fridge.